On 29th March, the renowned Pétrus will re-open under Head Chef Sean Burbidge, who will be offering a modern European menu. The new location at 1 Kinnerton Street in Knightsbridge will display a stunning open cellar in the centre of the dining room bringing to view over two thousand bottles of wine. Within the wine list will be thirty-four Pétrus vintages. Head Chef Sean Burbidge will serve a modern European menu, which will include dishes such as fillet of Angus beef with Swiss chard, wild mushrooms and red wine sauce and baked line-caught sea bass with confit fennel and caviar sauce. Having joined Restaurant Gordon Ramsay in 2003, Burbidge progressed from Chef de Partie to Sous Chef, and in March 2008 moved to Versailles to launch Gordon Ramsay at the Trianon Palace. Regulars of Pétrus will be delighted to know that Jean-Philippe Susilovic will return as Restaurant Director. J-P directed Pétrus for five years and his unfailing charm and attention to detail has marked him as one of London’s outstanding hosts. The Russell Sage Studio (York & Albany and the soon-to-be-opened Savoy Grill) has been responsible for the design of the dining room, creating a modern, light and accessible space with a gentle palette of oyster, soft silver and copper tints. 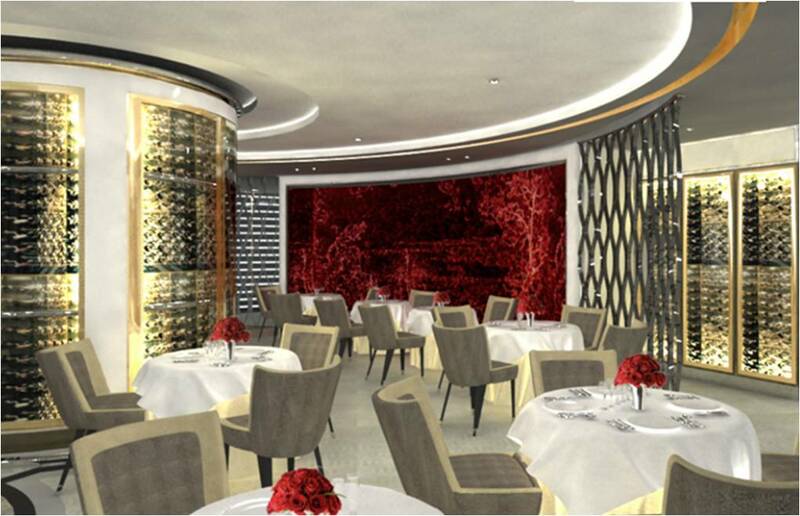 ThePétrus’ trademark of claret red will be a theme spreading through the restaurant adding opulence to the dining room. The contemporary architecture of the building will be continued within with the discreet presence of fine leather and polished metals. The most coveted table in the restaurant will be the Chef’s Table, overlooking the kitchen which will allow up to six guests to witness the drama of service and theatre of the kitchen. NB: This is restaurant news only, and Design Restaurant cardholders do not receive discounts or member benefits at this restaurant.